You’ve probably already noticed the evenings are looking a little brighter… We’re finally escaping the cold clutches of winter. It’s time to start looking forward to those beautiful sunny days ahead and start planning summer parties and BBQs which you’ll struggle to forget. However, as we know, every British summer lasts about a weekend. So, you’d be right to wonder whether spending hundreds on things you’ll likely use just once a year is actually worth it. Where are you going to store it for the other 362 days? You begin to wonder whether the party you’ve been dreaming about will, in fact, be a few drinks around a lacklustre disposable BBQ. Suddenly from the heavens (Mt. Olympus? I’m not sure where fictional gods appear from) descends the Greek god of summer party fun times and whispers two words: ‘Fat Lama’. 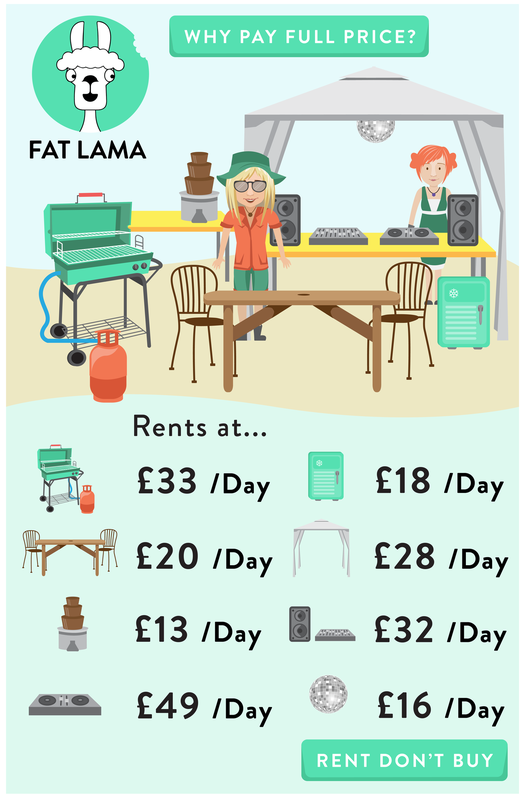 At Fat Lama, You can rent everything you’ll need, for however long you need it, to host the sweetest event of the summer. Lenders post items and ‘stuff’ they own and aren’t using, so you can rent from other people living near you for a fraction of the price. The sound system which would be perfect for you is £300. Pretty pricey, but to rent it for the party? Just £32. The BBQ you’re going to have (it’s compulsory in the summer, let’s face it) costs £350, so why not rent it for just £34? Now, you’ve got the essentials for your killer party. With Fat Lama though, you can go all out. The option to rent means you can get access to the kind of stuff which would previously have cost you your entire month’s earnings. Seen those amazing chocolate fountains but never considered purchasing one? Need a lighting system to create that Festival/House vibe to keep the party going into the early hours? Why not hire a drone to get incredible aerial shots? With Fat Lama, you can plan the most impressive party ever at a great price. Check out our party rentals. Last Halloween, we caught up with Tilly Binns who used Fat Lama to help her throw a Halloween party at her flat. 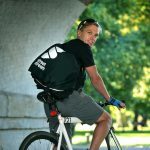 Check out Tilly’s story for further inspiration!